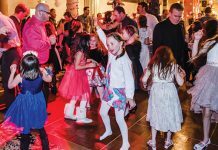 Skiing and snowboarding are the superstars of the winter recreation world, but there’s plenty of room for a supporting cast of family fun options in Tahoe. In recent years, ski areas have diversified, offering appealing alternatives for your brood. Read on and you’ll also find ideas for old-fashioned fun to spice things up on your next Sierra sojourn. Based in Stateline, Nev., the Borges Family Sleigh Rides offer rides in antique sleighs pulled by Belgian Draft horses for a unique on-the-snow adventure. 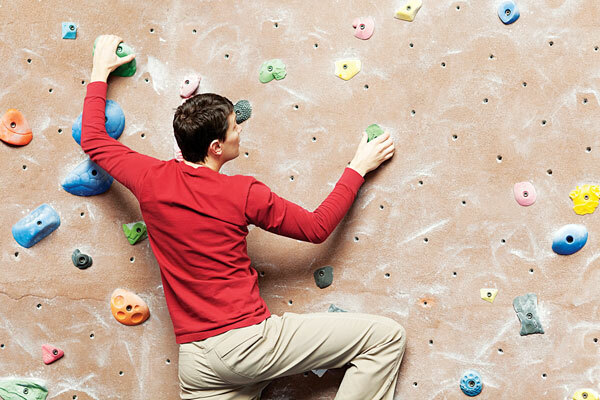 Indoor rock climbing walls are a great way to let the younger set burn off a lot of that extra energy. High Altitude Fitness in Incline Village boasts the largest indoor climbing gym in the region. Over in Truckee, Tahoe Sports Haus has more than 3,000 feet of vertical space for everyone. Climb the walls at Squaw Valley’s Aerial Tram building with a 30-foot-tall wall featuring 800 feet of climbing fun. Dog sledding has a long history in the region, with Truckee holding America’s first dog sled competition in 1915 that was attended by Jack London. 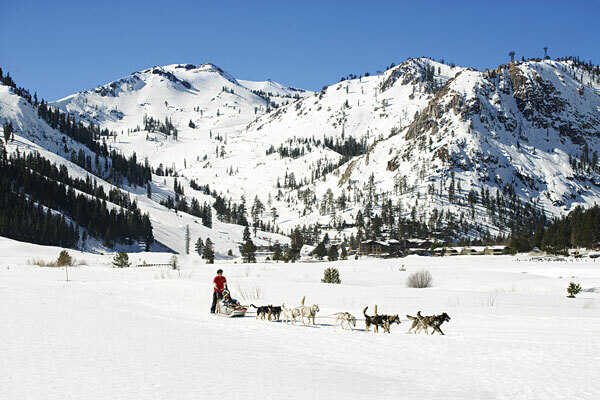 Today, dog sledding adventures offering thrilling tours of the beautiful Sierra scenery. Wilderness Adventures based at the Resort at Squaw Creek offers thrilling hour-long tours in Squaw Valley Meadow. On the south side of Tahoe, Husky Express specializes in dog sled tours in the beautiful Hope Valley. The Treetop Adventure Park on Tahoe’s West Shore offers one of most unique outings for the entire family – a tour through the trees using Zip lines, rope bridges and various obstacles. Kids as young as 5 may enjoy the fun at the park. And, yes, it is open in the winter. Choose from several indoor climbing adventures. When the weather is nasty, head indoors for some kid-friendly activities. 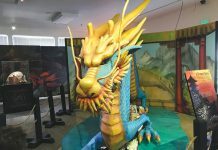 Kids will enjoy a variety of exhibits and projects at the KidZone Museum in Truckee. The Tahoe Maritime Museum on the West Shore is chock full of maritime history and includes a simulated boat that the kids can drive on Lake Tahoe. And, check out the “Ghost Ships” exhibit this winter. Explore Tahoe’s winter ski history at several local museums including the Western Ski Sports Museum at Boreal, or head to Tahoe City to explore the Museum of Sierra Ski History & the 1960 Winter Olympics, and the Gatekeeper’s Museum, which features an exhibit on black bears. Adventure Mountain Lake Tahoe | This snow park is a popular spot for tubing and sledding. Families must pay for parking, but the groomed hills are free. Bring sleds and tubes, or rent them on site. Blackwood Canyon | Enjoy this public snowplay area on the West Shore south of Tahoe City. You’ll need to bring your equipment. Boreal | Five lands of tubing fun awaits for the entire family at the Playland tube park. 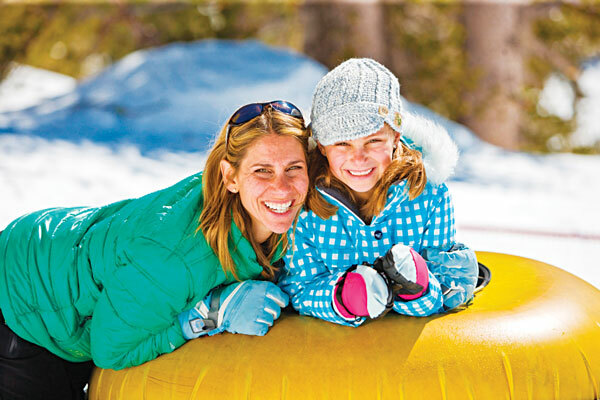 Donner Ski Ranch | Enjoy three lanes of tubing fun, and you won’t have to make the track back uphill, just sit back and enjoy the ride the Magic Carpet. Granlibakken | Families adore this Tahoe City sledding area and quaint lodge. Heavenly | Take the gondola to the top and enjoy the Adventure Peak play area featuring snow tubing, sledding, cross-country and snowshoeing options. Homewood Mountain Resort | A family favorite located on Lake Tahoe’s West Shore, Homewood offers a snow play area near the South Lodge. Incline Village | Bring your sled to the golf course driving range that transforms in the winter into the perfect ski hill located next to the Chateau. Mount Rose | One of the most popular sled hills in the region, it’s crowded on the weekends at this public snowplay area near the summit where you’ll need your own sleds or tubes. Northstar California | Enjoy being transported by tow lift to the top of this tubing area located just above the gondola. North Tahoe Regional Park | Bring your own gear or rent sleds on site for a day of fun in Tahoe Vista. Sierra-at-Tahoe | This locals’ favorite ski area also is a great place to get tubular. Located east of Echo Summit, Sierra offers a super sledding and tubing area that parents can view from the nearby deck. Soda Springs | This beloved Donner Summit ski area has a great tubing area for all ages with tubing at Planet Kids for the littlest ones. Squaw Valley | Maybe you already knew about Squaw’s mountaintop ice skating and hot tub options, but did you know about the cool mini snowmobiles for kids 6- to 12-years-old? Also check out the stellar snow tubing. Tahoe City | Located just outside of town, a small sledding hill makes for great fun. But, you’ll need your own sled. Tahoe City Winter Sports Park | Enjoy sledding on the golf course in the winter with rentals available at the clubhouse. Tahoe Donner | Check out the sledding at Trout Creek Recreation Center. For details on these activities, go to visitinglaketahoe.com. Looking for more activities to enjoy with the family? Visit TahoePowderMag.com. 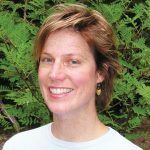 Ann is a freelance writer and a long-time resident of the West Shore of Lake Tahoe.